The world is full of fascinating, stylish countries and cities. The most lavish of them provide homes for the rich and famous. Many of them also provide the backdrop for blockbuster films. Consequently, this affords us a glimpse of grandeur, style, and sometimes mystery. Monte Carlo has featured in a number of films, including two James Bond films. Other films include Monte Carlo or Bust and also the 1955 film To Catch a Thief, starring Grace Kelly and Cary Grant. Grace Kelly later became the Princess of Monaco when she married Prince Rainier III. For grandeur, The Casino de Monte Carlo cannot be beaten. However, there is more to Monte Carlo than the casino. It’s located at the foot of the Maritime Alps on the French Riviera. Wherever you go you can imagine yourself on the set of an extravagant movie. Paris is thought by many to be the most romantic city on earth. Many know French as the language of love. Paris has featured in many films and books, including Funny Face, staring Fred Astaire and Audrey Hepburn, and the Woody Allen film Everyone Says I Love You, starring Goldie Hawn. Paris has been an important city of culture for hundreds of years, inspiring artists and filmmakers alike. 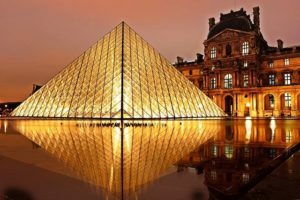 There are a number amazing galleries there, including the Musse du Louvre, which featured extensively in the conspiracy theories depicted in the Dan Brown novel and film, The Da Vinci Code. New York is one of the most exciting and vibrant cities in the world. It’s also one of the most filmed locations. 2012 alone has seen the release of 12 feature films showing scenes of New York, including The Bourne Legacy and The Amazing Spider Man. 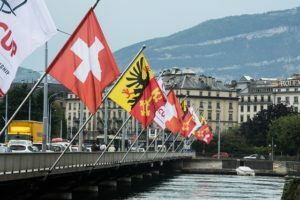 Financially and diplomatically, the city of Geneva is one of the most important cities in the world. It is home to a number of international organisations, including the United Nations and the Red Cross. The city of Geneva is also where you will find the Large Hadron Collider (LHC). This is the largest experimental facility ever built, and physicists use it to test a number of theories pertaining to particle physics and the origins of the universe. It is also one of the stomping grounds of the UK’s very own Professor Brian Cox. Geneva has featured in a number of films and books through the years, most recently in Dan Brown’s Angels and Demons. It provided a setting for Mary Shelly’s Frankenstein as well as Three Colours: Red, the film trilogy by Krzysztof Kieslowski. “What happens in Vegas, stays in Vegas”, was the line that revived the fortunes of the most famous gambling city in the world. Since then, the line has become synonymous with the city, appearing notably in The Hangover. It even forms the name of What Happens in Vegas, starring Cameron Diaz and Ashton Kutcher. The Las Vegas Strip is around four miles long and is the location for the majority of the biggest and the best casino resorts. You’ll find 15 out of 25 of the world’s biggest hotels (by room count) here. 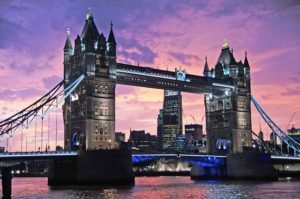 The city of London is one of the world’s biggest cultural hotspots. The city boasts a wealth of museums, theatres and hosts a number of festivals and other annual events. It has provided the backdrop for a number of films, most recently the Harry Potter films. The entrance to the Ministry of Magic is actually Scotland Place in London. Victorian London is forever immortalised in the works of Charles Dickens. One of the most iconic pictures of the 1960s ever taken is in London. Abbey Road, the famous Beatles’ album, takes its namesake from the famous music studios. The photograph on the cover actually shows a pedestrian crossing near the studios. Berlin is a great destination for those who love a diverse, cosmopolitan city environment. Often referred to as the Zeitgeist Metropolis, the city has hundreds of art galleries and a thriving nightlife, with some of the world’s best clubs making it popular with the younger generation. Berlin has been the location of many German films but also a number of US films, including The Bourne Supremacy. The 1927 film Metropolis was also shot in Berlin and was later used by Queen in their video for ‘Radio Ga Ga’. Berlin is, of course, also the setting for the musical Cabaret. 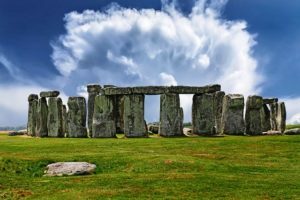 The prehistoric monument of Stonehenge near Salisbury in Wiltshire is one of the UK’s most recognised attractions. It frequently appears in popular culture, including many books, films and TV shows. It also recently featured in an episode of Dr Who! The stones were painted by John Constable and mentioned in the writings of William Wordsworth. It is also the place where Thomas Hardy’s heroine in Tess of the D’Urbervilles was captured and arrested for her crimes. The film industry is very good at showing us many amazing cities throughout the world. There are so many great locations and opportunities to see them! Therefore, surely it would be a pity not to visit at least some of them.